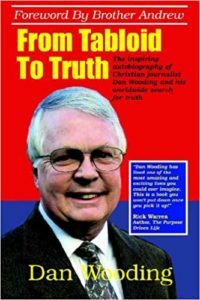 ALBUQUERQUE, NEW MEXICO (ANS)—The first time I reached out to Ken Mansfield was after reading a book I picked up at the Modesto Public Library. 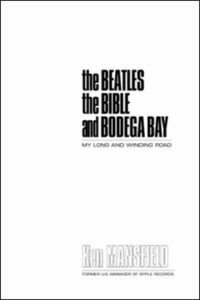 In The Beatles, the Bible and Bodega Bay, Mansfield recounts his history with the Beatles and life’s bumps, including cancer. In vivid detail he writes about his career trajectory, first at Capitol Records in Los Angeles, then as US Manager of Apple Records, the Beatles recording company. 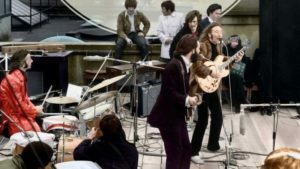 To my surprise I learned that Mansfield was “the guy” in the white jacket—sitting not too far from Yoko Ono—at the final concert the Beatles performed on the rooftop in London. Mansfield is part of rock history. On a whim I found his email address and emailed him. To my surprise, he emailed back. Our correspondence was short, but I passed along his information to Pastor Damian Kyle of Calvary Chapel Modesto. Several years later I was living in Southern California, working for Calvary Chapel Costa Mesa. And low and behold, I saw a new Ken Mansfield book, The White Book. As an insider to the last years of the Beatles existence, Mansfield recounts his experience and insight into the world’s most famous rock band, weaving his faith within the tapestry of the story. It wasn’t until I moved to Albuquerque, New Mexico that I met Ken Mansfield. Pastor Skip Heitzig hosted Mansfield on two different occasions. I found Ken to be a humble, kind man—with amazing stories to tell, the greatest being his journey with Christ. 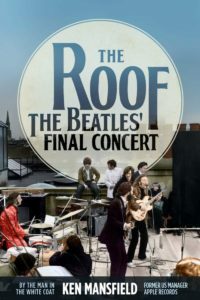 After several other books—both about music and his faith, Mansfield wrote The Roof: The Beatles’ Final Concert (2018). And though Mansfield has touched upon that iconic day in his other books, The Roof hones in on the famed moment in music history. Over the course of the twenty-six plus minute interview, Mansfield provides amazing insight into that day, acknowledging its importance and debunking some of the rumors revolving around the concert, such as the police activity. He did, however, discuss how cold it was, with a couple of Beatles borrowing jackets for the concert. 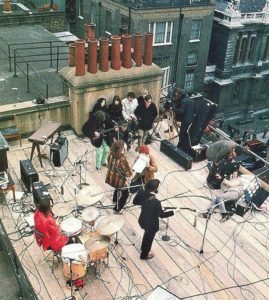 The Beatles performing on a roof in London. On the two occasions I’ve met Mansfield, I’ve heard someone ask him about the Beatles’ faith. There have been many rumors that John Lennon became a Christian towards the end of his life. And though Mansfield was reluctant to give a definite answer, his love for the four men from Liverpool came through, asking us to pray for them (now only two members remaining). Mansfield gives more insight into the question in the introduction he wrote for the book, The Beatles, God, and The Bible. From this quote, one can gather three things. One, Lennon considered himself “religious.” Two, he connected his faith to his Christian upbringing. And three, he was recently reading Jesus’ parables (“I only now”). By the end of the year—in December 1980, Lennon would be shot and killed by Mark David Chapman, a delusional man thinking he was Holden Caulfield from the novel The Catcher in the Rye. Chapman stood near the wounded Lennon, reading portions from the novel. Only heaven will reveal Lennon’s true home.